Digitization of processes has completely revolutionized the business arena across the globe today. At Mastermind, we aim to offer you a logical approach towards execution of critical tasks, thanks to our expertise in everything in Microsoft Dynamics. And this expertise is what streamlines your production process and hence your enterprise functioning. A highly crucial aspect distinguishing Mastermind from the rest of its contemporaries is its collaborative approach towards problem-solving. Rather than working in silos, we believe in the power of collaboration to help you to achieve the extra edge over your competition. In today’s times when decision-making is a challenging endeavor, our CRM, data analytics, and BI competencies emerge as the key to meeting this challenge. We will help you turn critical information into valuable business insights, thus enabling you make informed decisions. 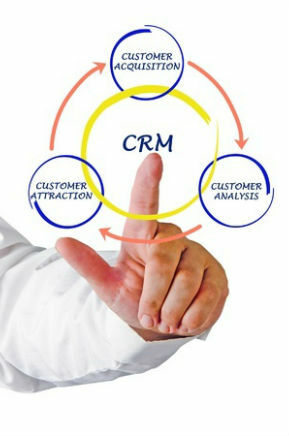 Dynamics CRM: Generate interest amongst your target customers and create strong interactions with them. We will help you to tap into crucial customer data and turn them into actionable insights for your dream venture. Microsoft Business Intelligence: We know how important BI is for your business. Our highly experienced and skilled BI experts will help you to reap the benefits of Microsoft Business Intelligence. Dynamics Axapta (AX): Our Dynamics Axapta (AX) solutions will revolutionize your existing business operations. Dynamics Navision (NAV): With a skilled team of business analysts, we will also extend the best ERP support with Dynamics Navision. Dynamics Great Plains (GP): Business accounting is of paramount significance. With our Dynamics Great Plains (GP) services, you will receive perfect accounting solutions and more. SharePoint: Mastermind enables successful and high-powered business document management. We will prove to be your highly efficient SharePoint developers. Enterprise Architecture: Changing business processes and emerging technologies make life quite tough for present-day enterprises. At Mastermind, we will help you to overcome such challenges, thus resulting in increased business agility. BFSI: As your comprehensive business solutions provider, we also offer Banking, Financial services, and Insurance or BFSI assistance to our clients. Trading: With our end to end capabilities in Microsoft Dynamics, you can streamline your trading operations and bring down cost overheads. No need to manually do inventory, stock taking, order fulfillment activities, or even CRM, when we are here to provide cutting edge tech solutions in your trading business. Real Estate: We also offer extensive assistance and unique approach to players in the real estate sector. Staff augmentation:We know how an efficient workforce can make the crucial difference for your dream venture. Our qualified team of recruiters will offer the best staff augmentation support to you. With such a robust service portfolio, Mastermind can easily help you to gain more traction with streamlined and high-performance business functions.